Interested in raising money for your school, non-profit or sports team but burnt out on candy bars and car washes? 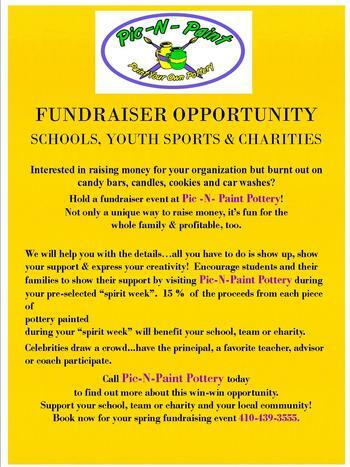 Hold a fundraiser event at Pic -N- Paint Pottery! Not only a unique way to raise money, it is fun for the whole family and profitable, too. pre-selected “spirit week”. 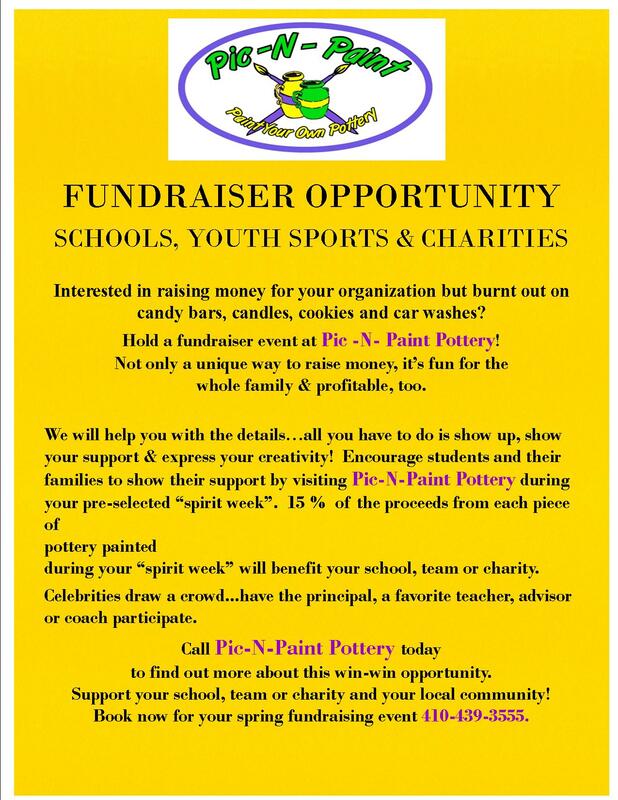 15% of the proceeds from each piece of pottery painted during your “spirit week” will benefit your school, team or charity. Celebrities draw a crowd…have the principal, a favorite teacher, advisor or coach participate. Call Pic-N-Paint Pottery today to find out more about this win-win opportunity. Support your school, team or charity and your local community! Book now for your spring fundraising event 410-439-3555.